LILLE A notorious career criminal made a spectacular escape from a French prison by blasting his way out with explosives. 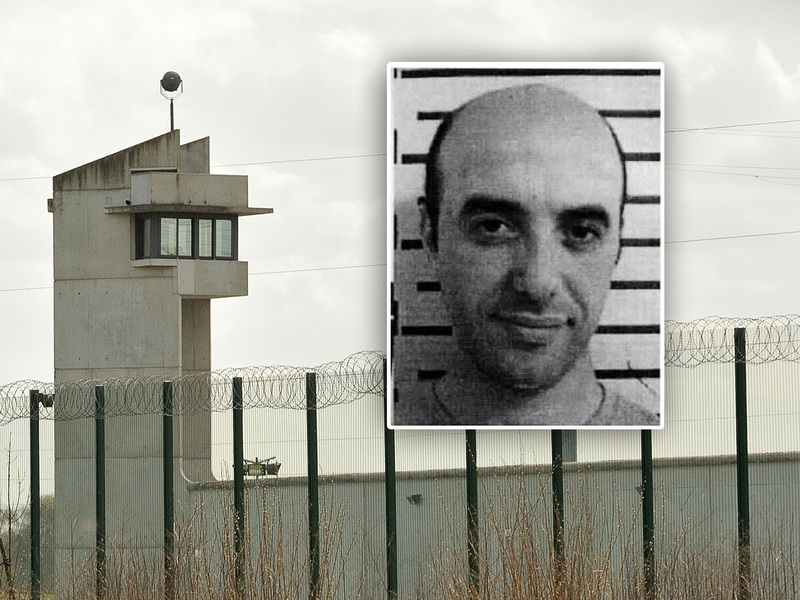 The escape occurred at Sequedin prison in northern France when 40-year old convicted armed robber Redoine Faid used smuggled explosives hidden inside tissue packets to blast open five separate prison doors. During the audacious break-out he took four wardens hostage, but released one just outside the prison before driving off with the others in a getaway car. Faid then released another guard several hundred yards from the prison, and the final two on a stretch of highway. He then torched the vehicle near Lille, and got into another. Faid, a French-Algerian criminal well known in France for bold attacks on armored cars and for his links to organized crime, was described by state prosecutor Frederic as "particularly dangerous." Police believe he is still in possession of explosives. It wasn't the first time that Faid, an armed robber being held in the death of a police officer, had gone on the lam. He was arrested in 1998 after three years on the run in Switzerland and Israel, according to the French media. Faid was freed after serving 10 years of his 31-year sentence, then swore he had turned his life around, writing a confessional book about his life of crime and going on an extensive media tour. "When I was on the run, I lived all the time with death, with fear of the police, fear of getting shot," he told Europe 1 radio at the time.